In the midst of the worst motorcycle market in German history, the NSU factory opted to go big with a remarkable multi-bike assault on the World Speed Record on the Bonneville Salt Flats, taking on six capacity classes: 50cc, 100cc, 125cc, 250cc, 350cc, and 500cc. In 1956 the factory shipped over a quiver of streamliners to Utah, arriving on July 25th, and nothing was left to chance; NSU’s Chairman Dr. G.S. von Heydenkampf and Technical Director Viktor Frankenberger were on hand to oversee the mechanics, technicians, and officials (including Piet Nortier, from the F.I.M., in charge of timing). A traveling machine shop had also been shipped from Germany, with enough spares and equipment to deal with any mechanical emergency. NSU had developed a devastatingly successful range of 250cc and 125cc racers in the mid-1950s, winning 5 World Championships in a 3-year span from 1953-55, the last after the factory had officially withdrawn from Grand Prix racing. That year, H.P. ‘Happy’ Mueller won the 1955 title on a production-racing Sportmax, the first privateer to win a World Championship (at age 46). Two years after they bowed out of racing, NSU spent a considerable sum developing six streamliners of truly innovative configuration, using a ‘hammock’ riding position for the rider, which kept their height, and thus their frontal area, extremely low. As well, these long, triangular-bodied missiles handled surprisingly well, as proven to the press during the run-up to the record attempts. Their engines were all from NSU’s Grand Prix racers, sophisticated Rennfoxes and Rennmaxes (the blueprints of which Soichiro Honda photographed the year prior on a factory tour of Europe), and their almighty supercharged vertical twins. 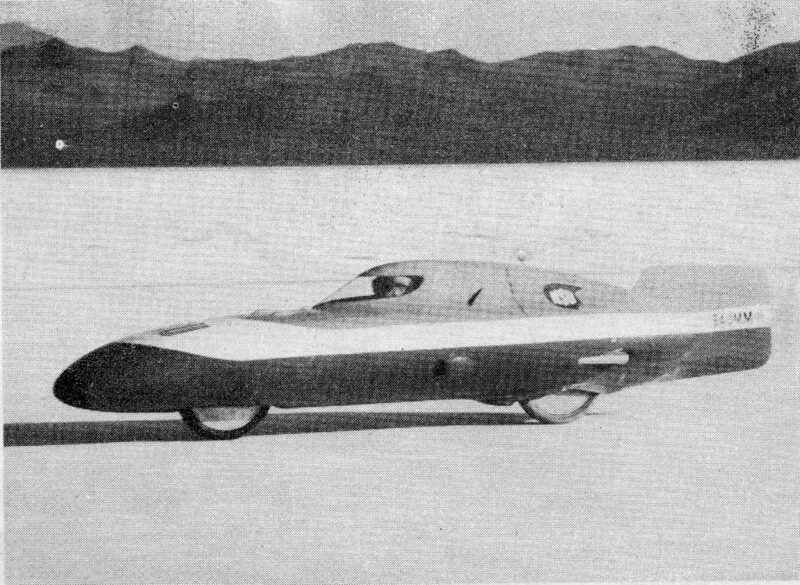 But there was still Nature to contend with at Bonneville, in the form of the wind. Road-racer H.P. 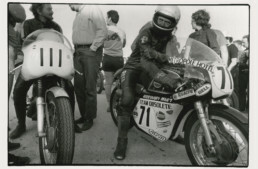 Mueller piloted the 3 smaller-capacity streamliners, finding his runs on the salt relatively easy going, and taking 121.7mph in the 50cc machine, 138.0mph in the 100cc bike, and 150.3mph with the 125cc, which also overtook the records for 175cc and 250cc categories. Wilhelm Herz, heir apparent to Ernst Henne as Germany’s (and the world’s) fastest man on two wheels, was in the saddle for the 350cc category, and made 189.5mph on a 1-mile flying start run on the smaller of the blown parallel twins. But Herz didn’t have an easy time with his record-breaking, as a few days previously he’d been pushed off-course by a gust of wind, hammered a timing light, and tore a gash in the nose of the Delphin III (named for the sleek shape of the streamlined body). 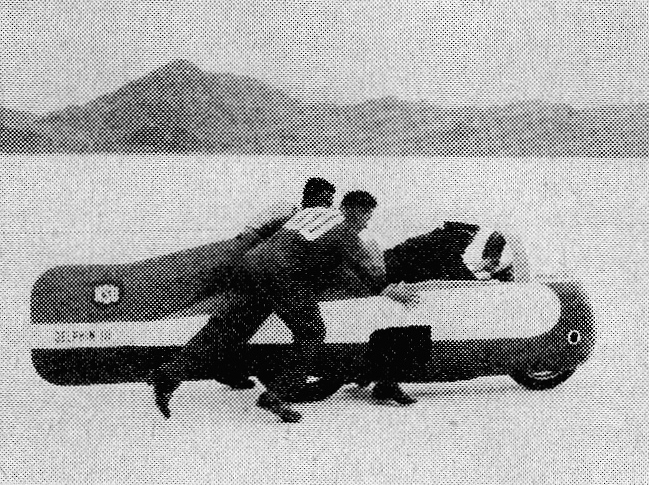 Earlier, while testing the 250cc ‘hammock’ streamliner, the motorcycle went out of control at 195mph (note that it was faster than the 350cc streamliner) and flipped over, which ended the 250cc record attempts for this session. This was truly unfortunate, as NSU had their greatest technical and racing successes in the 250cc class, with Werner Haas winning 5 of the 7 races counting towards the World Championship in 1954, and his team-mate Rupert Hollaus winning another with the gorgeous Rennmax racers. The Rennmax is a machine for the ages, a perfected design matching the technical brilliance of NSU’s motor and chassis, with achingly beautiful hand-beaten alloy bodywork. NSU quit Grand Prix racing because of the expense of development and fielding a team: the general turndown in the European motorcycle market in the mid-1950s saw NSU, Gilera, DKW, Moto Guzzi, etc, all drop out of the GP scene, leaving MV Agusta an open field for several years, until Mr Honda got involved and won every capacity class, and Yamaha finished the Japanese takeover with inexpensive two-strokes overwhelming sophisticated multi-cylinder four-strokes. On August 4th 1956, ten days into NSU’s record-setting spree, the wind conditions had calmed down, and at 6am, Herz leaped from the starting line under full throttle ‘with salt spewing from a wildly spinning rear wheel’, according to Cycle magazine. He made 211.4mph on his first run, and broke the previous record by 26mph! The record had been held only a year, as on July 2nd 1955, Russell Wright on a Vincent Black Lightning reached 185mph on the Tram Road at Swannanoa, Christchurch, New Zealand. Strangely, Vincent and NSU were financially connected, as from 1954, Vincents sold lightweight NSUs under license in an attempt to stay afloat. Vincent was already out of business by 1956, and NSU, despite its glorious achievements, was absorbed into Auto Union in 1962. 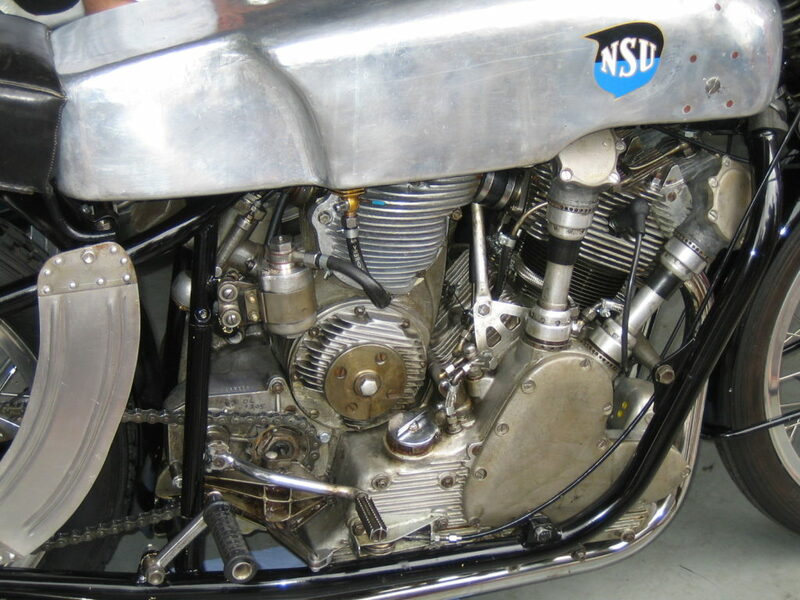 NSU’s 500cc (and 350cc) engine used at Bonneville is a work of art, and had already taken the World Speed Record in 1951 on the Munich-Ingolstadt autobahn. 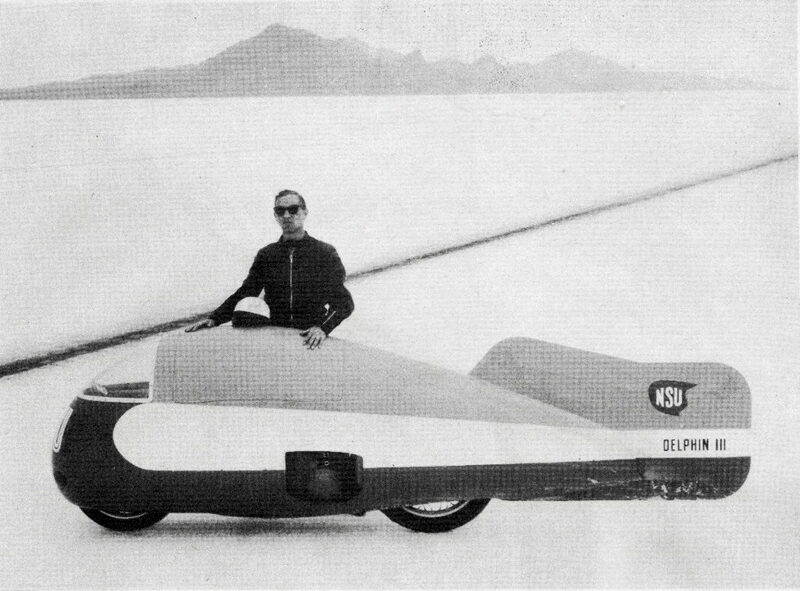 For the 1956 Bonneville attempt, a new, longer and lower frame was built, as seen in these photos, as well as the ‘dolphin’ enclosed fairing, making the total length 3.7 meters. Girder forks with hydraulic dampers were used up front, and hydraulic plungers at the rear. The unit-construction motor is an inclined vertical twin with shaft-and-bevel driven double overhead cams, with peak revs of 8000rpm. Ignition is by forward-mounted magneto, the supercharger sits atop the gearbox, and is fed by a single (very large) Amal-Fischer TT carb. The crankcases and covers are all magnesium. 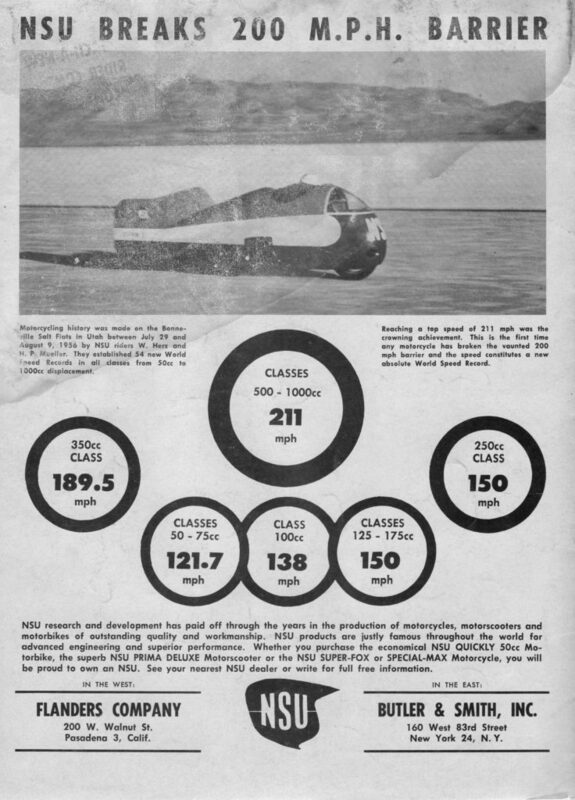 NSU’s 500cc DOHC twin-cylinder engine had a disadvantage in GP racing as it’s a heavy lump, and while the power was excellent, the much lighter Moto Guzzi singles and Gilera Fours meant tough competition on the track. Weight isn’t an issue during a speed record though, as it only slows acceleration, and doesn’t affect top speed. Thus the Delphin III was fully equipped with both front and rear brakes, and lead blocks were even hung on the frame to combat high-speed lift, and keep the front wheel on the salt at 200mph. The smaller NSU streamliners (250cc and below) all used the ingenious ‘flying hammock’ seating position, in which the rider sits with legs outstretched, to make an especially low motorcycle with minimal frontal area for the best wind-cheating layout. A Cycle magazine correspondent (Ron Britzke) made note of the superior handling and aerodynamics of these smaller machines, and reckoned that the ‘dolphin’ fairing had seen its limit, while the potential of the ‘deck chair’ design ‘has apparently just been tapped’. 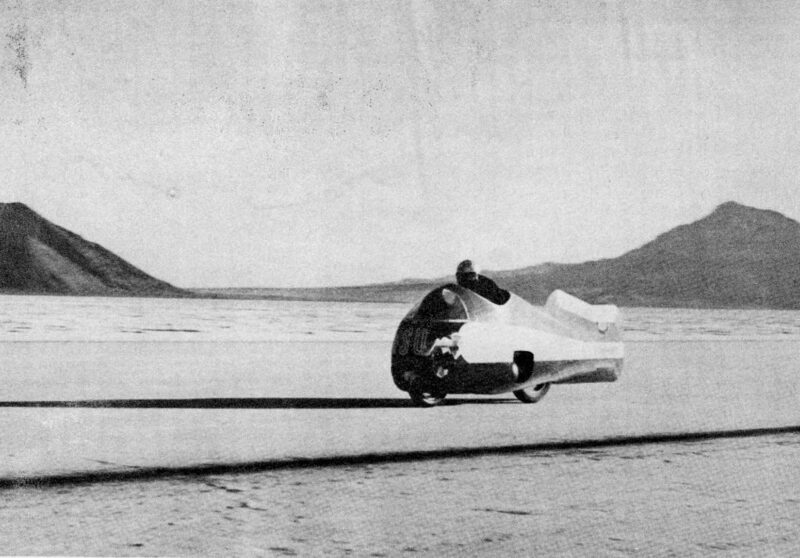 How right he proved to be, as future streamliners abandoned the biomorphic tadpole shape popular from the 1930s, and moved toward needle-like missiles with minimal frontal area, and riders feet-first in the cockpit. NSU had proved their point: they built the fastest motorcycles in the world in 5 categories. But the German motorcycle market was in dire straits in 1956, as the economy as a whole ramped up, and riders could afford the comfort of four wheels. By the early 1960s, most German bike manufacturers were out of business, regardless the country was once home to the largest motorcycle factories in the world (DKW and NSU). 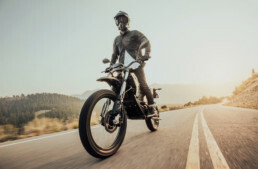 But Germany was late in making the transition from motorcycle-as-transport to motorcycle-as-leisure object (which happened in the US in the 1920s), and the 1950s was one of the many great die-off periods in the history of motorcycling, much like 1914-18 in the USA (when hundreds of manufacturers disappeared), and 1930 everywhere else. Two wheels has always been a tough business, and continues to be one today, but we honor the magnificent deeds of those who gave their all to keep worthy manufacturers alive. Paul, great story. A few notes worth adding: Pete Lyons wrote a fine piece on the NSU effort (with a pic showing Herz’s breakfast regimen!) titled “The Day They Broke 200” published in a 1980s issue of Cycle Magazine. The supercharger used by NSU in its 50cc streamliner pioneered Felix Wankel’s rotary machine, which of course led to further development by NSU leading to their rotary car engine. 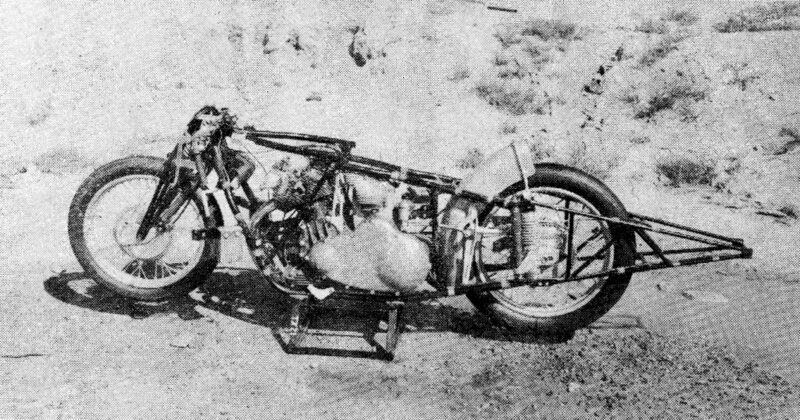 And, reminding your readers that Herz’s 211-mph speed was almost immediately smashed by the “Texas Ceegar” ridden by Johnny Allen and built in a Ft. Worth hangar by Stormy Mangham and Jack Wilson. Unlike the Germans, theirs was no big expensive factory effort–just a humble production-line Triumph 650cc Thunderbird engine, naturally aspirated, and running cut-down Cadillac valves. American hot-rodding beat the German works blitz. Yeah, yeah, the Texans’ runs weren’t FIM certified….it didn’t matter. Nice Story Paul. I will add some important facts,if anybody cares. (sorry my bad english….) The man near the flying hammock in the deckchair is not H.P.Müller but Gustav Adolf Baumm in 1954 near the Baumm 1 he invented for the NSU Factory. As a young family father born in Breslau (now Poland) ,had to settle from the lost and by the soviet forces occupied eastern germany to the southwest. His profession was graphic design,but I think he must have had experiance in Germans Rocket and Aircraft Industry before 1945 in any case. His Idea with a flying deckchair was first not wanted in the NSU factory.Most thought he is another idiot who will sell his crasy plans,but only one ,but an importand man wouldn´t kick him out from the door and gave him the chance to built a tubular prototype in an afterwork project with a 50 cc Moped Engine with less than 1,6 H.P. What nobody thought happened, he shocked the Head of NSU who wasn´t able to follow him with his big Mercedes on the Highway . 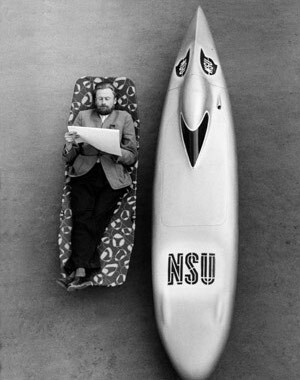 After some scale models where testet in a wind tunnel,the Chief Engineers couldn´t believe the results and the chance to show the world how fast the NSU engines are. The surprised Head of NSU made a dealwith Baumm to build a real works machine, which was no less than a Jetfighter fuselage,than a motorcycle. 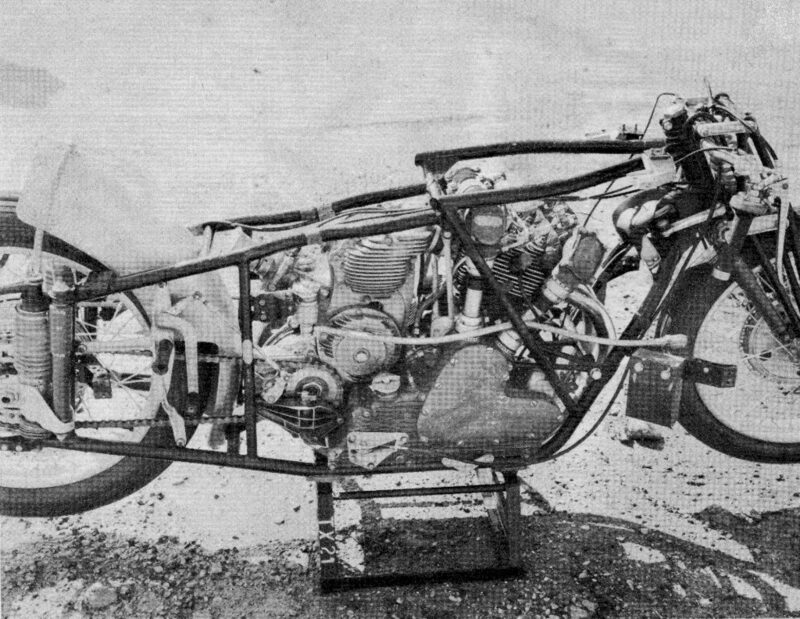 Gustav Adolf Baumm broke 11 world records fom 50cc up to 125cc with only a 50cc and 100cc standart road bike engine with around 8,5 H.P.on German highways during 1954. .In 1955 he was able to break the 250 cc overall Record and some 350cc records with a 125cc engine and was even 151km/h fast with a 50cc machine . Unfortunately had been killed 35 years old on the Nürburgring later in 1955 with that machine during a promotion tour. Fast on straights, but as a non racing driver, he missed a tricky double curve in tracksector ” Wippermann ” on the deathly 23 km Nordschleife circuit and crashed with his aluminium case into a tree. But his Project wasn´t over. There was also a Baumm 3 Streamliner in Production which won the first enonomic world record later on Hockenheim racing circuit, driven 100km with aprox. only 1 liter Fuel at a overall speed of 100km/h and a total of 150km/ h .The engine was a standart 8,5 H.P. 125 Superfox adapted with a sixspeed gearbox to reduce the revs in all cases. Not very noted in these years when Fuel was not as expensive as today,but remarkable anyway. 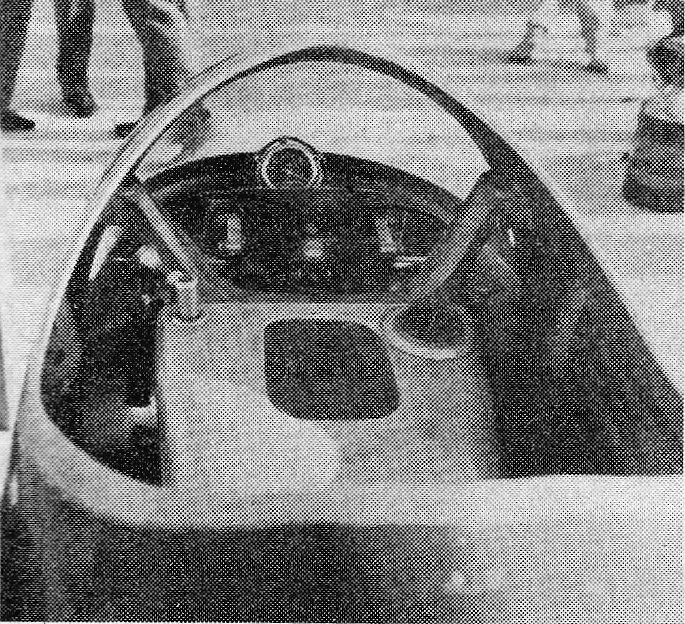 This Baumm 3 was designed as a public vehicle with taillights to keep dry and warm in that twowheel car, fully closed Cockpit,but flaps for the foots to secure the vehicle during standing ,start and stop it witout falling down. During the 5h endurance on Hockenheim during his economic world record,he used a a small can for astray, and smoked some cigarettes on these 500km. This Vehicle was very comforteable a bit wider but not so tall than the landspeed record Baumm 2 and 4 . The first plan produce this thing in mass (today aviable in Switzerland the Monotracer with aircondition and BMW engines ) went over in producing small 600cc cars first with three but finally at first,but finaly with four wheels launched in1958 by NSU. The former German Aircraft manufacturer BMW, HEINKEL and MESSERSCHMITT made it true and built microcars powered with Motorcycle Engines for the poor people in the first postwar times,but not with that very low windslippery design as NSU used. The much taller Baumm 2 (50cc-125cc) and the Baumm 4 with the Rennmax twin 250cc where built in early 1956 with windtunnel aprooved finns on the rear. 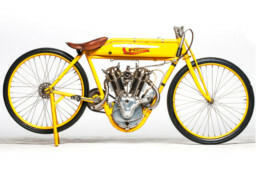 The Baumm 2 was very successfull and won several world records from 50cc up to 250cc with its 125 DOHC 6 Speed Rennfox Engine with 242km/h . 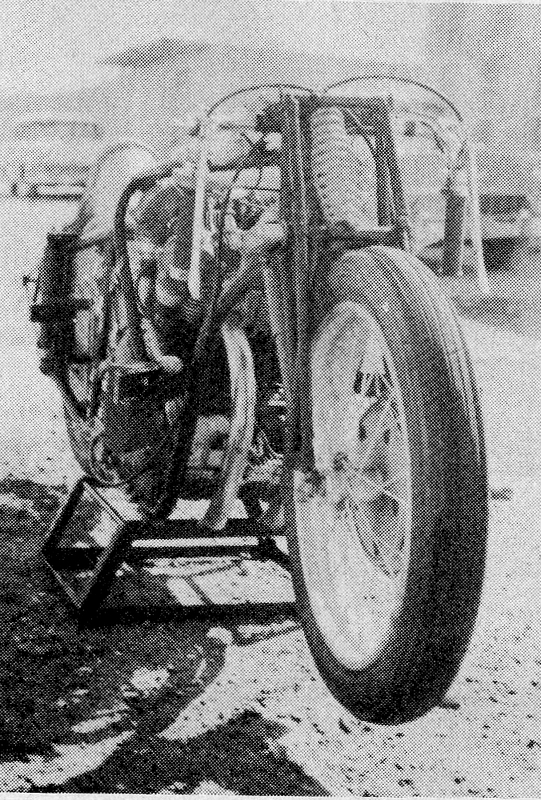 The Baumm 4 powered by the also unbeaten 250 Rennmax Moto GP World Champion from 1954 with its over 40 HP updated Methanol pistons was able to hold the overall landspeed record and beat that old fashioned prewar Delpin 3. This Hammock with a forged fuselage and a special rear end to adapt the wider twin with its righthand chaindrive (all 4 baumm 2 Engines where left hand driven) was theoreticly able to run much faster than 240km/h but Herz noted that the front end rise up at high speed. Unfortunately Herz had a fatal crash during testrides on the bumpy salt.The engineers couldn´t repair that monocoque frame intime,so that project was withdraws. The 125 Baumm 2 was fast enough to beat the current 250 record,so the Baum 4 didn´t run anymore and is a static demo in the German Motorcycle Museum Neckarsulm still today. I restored for AUDI these landspeed record vehicles and also the Roadrace World champions some years ago as well these supercharged road racers . The 350 and 500 Kompressor NSU are not well knows overseas because after they where launched in 1938 they had many technical fails on there first races. All 4 supercharged NSU retired during the IOM TT . Three of these(without rear suspension) and all blueprints from the racing departement where captured in 1945 by US troops and where lost since Germany´s industry was dismanteled by Allied troops for reparations after the war. But sometimes these things where hidden during the all day bombing attacks. Privateer Wilhelm Herz found one of the Bikes and some parts for building a second in a flooded bunker in 1946 during the bombed factory was rebuilt.He brought that crap in his home,and as the widdow told me once, he used the bathtube to save the steel parts in a acid rust bath. In that poor postwar years, without any money,the Reichsmoney was worthless , these racers have to swap goods ,US cigarettes or food even to get some tires ,or fuel to race. But Herz was ready to race with his NSU in 1947 after working days and night while modifying that damn British Centric Blower which failed so often in the past. He used hand made Charger Blades ,filed himselm from Swedish sawblades of his fathers woodmaker shop . the other major thing was that NSU researced the supercharger during the war and a need for an expansion box was researced.The BMW had fixed the Blover in front of the craccase behindt the front fender,so the air/fuel mixture went to longer tubes in the cylinderhead. That must have been an effort when intake valves open,ther are different swingboost effects.When the first races where held in Germany in Motorsport friendly allied zones ,prewar or just selfmade racers appeared,also supercharged prototypes,but most where unloaded machines. there where selfmade projects as well the newest production racers from Britain or Italy . Unfortunately the famous Nürburgring where I live was closed in the french zone,and used by the french troops to exercise with there army tanks. No question what they damaged there since 1945,racing was unmakeable for a long time. My father was there soon later when the superior NSU lead far away from the others , but retired in lack of fuel in the tank just some kilometers in front of the finish line near my father. That thing was so heavy that Heiner Fleischman wasn´t able to push it for victory. Thats why the later 100 H.P. strong Kompressor got such ugly large fueltanks The sidecar machine had an additional tank in the passengers boat, because they used more than 40 liters on 100 km/h. After the War Germany was banned in international sports at all only that great supercharged BMW where still in the hand of the factory in Munich, hidden them intime in the Bavarian Mountains . The Eastern German DKW´s with 10 European titles until 1939 and first non British TT winner ever in 1938 where badly survived in the Soviets Zone. They captured the complete Auto Union plants in Saxony and brought all the racing stuff near Moscow ,most things are gone forever. A handfull surviving DKW production racers appeared again step by step,only a handfull 350cc but most where 250 cc . The NSU factory ,who was threaten to repair US military Cars and Lorry´s ,but sanctioned in any research or devellopement all vehicles over 65cc (that means only bycicles with a small toy engine ) where only allowed to produce little prewar two wheelers in the early postwar years. When things went better and the German Mark was launched in 1948, the NSU Factory was able to buy the Former Works Racing Machines back from Wilhelm Herz who rescued these goods .